VertiGrain 2 composite decking combines the look and beauty of a real wood deck with the durability and minimal maintenance requirements of composite wood products. The most popular of TimberTech’s ranges, VertiGrain 2 decking has a beautiful grained surface that really looks and feels like real wood. But while it looks just like traditional timber, you won’t have to worry about any of the time-consuming maintenance that goes hand-in-hand with hardwood and softwood decking. Furthermore, instead of the fake-looking ‘V’ pattern that you get with lots of composite decks, VertiGrain 2 has a natural texture that perfectly imitates the appearance of natural wood. The Cedar boards are ideal if you want a traditional-looking garden deck, while the Grey option offers a more unusual, contemporary look. VertiGrain 2 composite decking is available in both a grooved and an ungrooved profile. The grooved boards are compatible with our CONCEALoc® hidden fastening system, allowing you to give your new deck a truly seamless finish. The ungrooved boards can be face-fixed using colour matched deck screws. All boards measure 4.8 metres*. 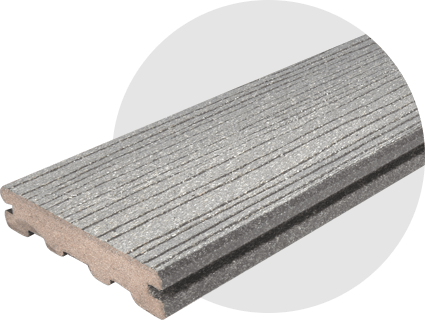 Click here to compare VertiGrain 2 with our other deck board ranges, or email info@timbertechuk.co.uk if you have any questions for the TimberTech team. *TimberTech deck boards are cut ‘in-line’ in a production environment, with the board continuously moving along the production line. As a result, the ends of the boards are not cut at exactly 90 degrees. 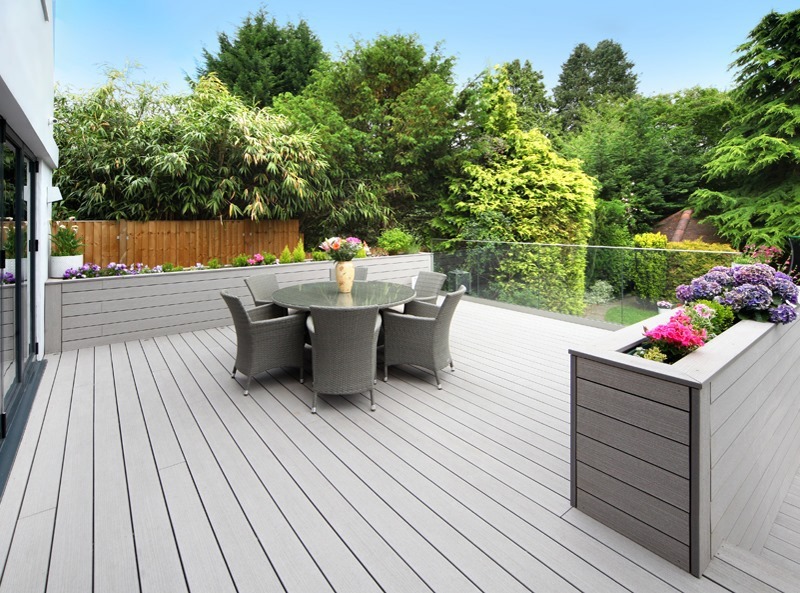 Why choose VertiGrain 2 decking? 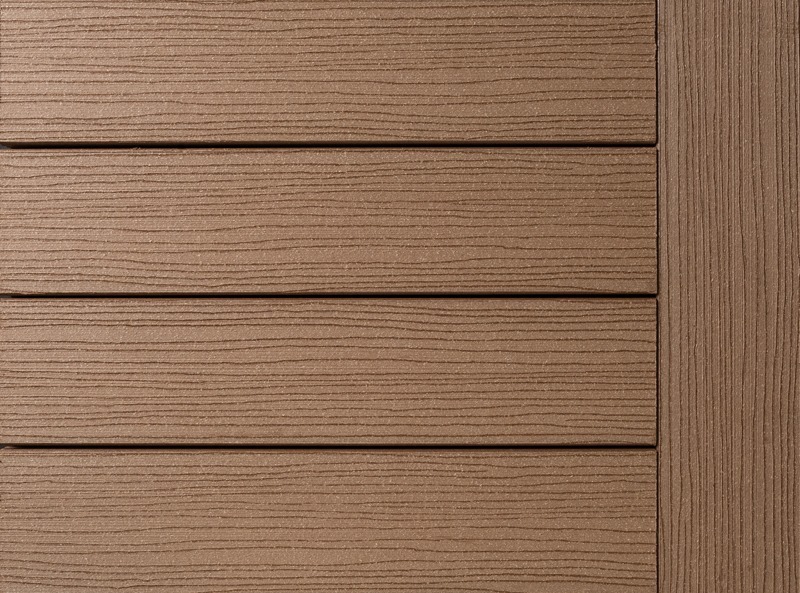 VertiGrain 2 isn’t our best-selling decking range for nothing! 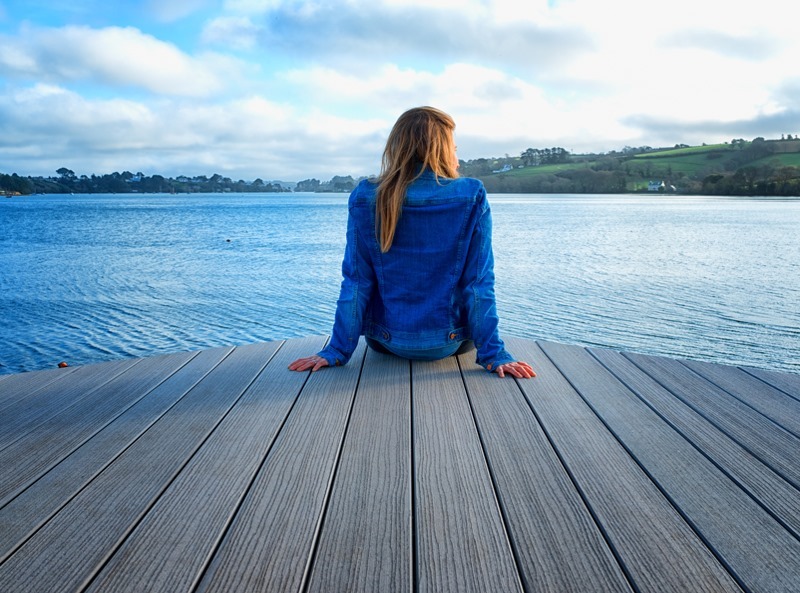 Linear Wood Grain –The surface of the board has a wood-like appearance, so you won’t lose out by choosing composite decking instead of hardwood boards. 30 Year Warranty – Our VertiGrain 2 decking comes with a 30 year warranty as standard (or 10 years for commercial installations), so you can rest assured that your deck will last for decades. Minimal Maintenance – TimberTech’s VertiGrain 2 boards require virtually no maintenance at all, giving you more time to relax and enjoy your outdoor living space.